This week Obama went to Hindustan, literally the land of the Hindu’s, and talked with politicians and India’s Prime Minister Narendra Modi. The main item on Obama’s agenda was to convince the Indians to reduce their carbon footprint. On cue, Obama denigrated the US for our contribution to global pollution and apologized for all of us. He told the Indians that the South Asian continent is particularly vulnerable to rising oceans caused by global warming. Fittingly his global warming appeal got the same response from the Indians as it got from the Chinese; thanks, but no thanks! While Barack the American job killer has done his best to regulate, legislate, or mandate policies that favor “clean energy” and punish the production and consumption of fossil fuels, the Indians aren’t going to jump on Obama’s clean energy bandwagon. They’ve got 1.2 billion people who demand economic progress. The guy riding a bicycle wants a motorbike; the guy on a motorbike wants a small car and the guy with the small car wants a Mercedes. That’s not going to change and India is going to use as many fossil fuels as it deems prudent for their economic growth. Indians can’t afford expensive (solar, wind) energy, they require low cost energy (oil, gas). 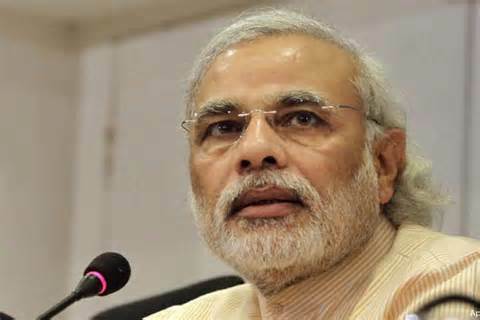 Prior to being elected as India’s Prime Minister Narendra Modi was Chief Minister (similar to a governor in the US) of the state of Gujarat. In my travels to India my “home base” is Modi’s state of Gujarat, located on the Arabian Sea in Northwest India. The son of a Chai Walla (a person that sells tea on the street) Modi’s rise to Prime Minister is a classic success story that rivals that of any world leader. As far as job creation is concerned, Modi is the exact opposite of Obama; under Modi’s leadership Gujarat exceeds all other Indian states in job creation. Clean energy is like organic food; despite its virtues the poor can’t afford it. Obama wants to include India on his list of enlightened, progressive, clean energy nations. Indians are incredibly bright and marvelously hospitable. Knowing the Indians they smiled broadly and politely and told Obama that he is an inspirational world leader who is absolutely correct about global warming. However, even before the wheels of Air Force One lifted off from Indira Ghandi International Airport there is no doubt that the Indians had dismissed both Obama and his unaffordable schemes. The Indians aren’t stupid. They’ve got an economy to build.